Allen McDonald Swartz LLP (“AMS” or “We”) recognize the importance of your privacy and the sensitivity of your personal information. This policy outlines how we handle your personal information and sets out the steps we take to protect your privacy. This policy statement also provides information about the personal information that AMS collects, and the ways in which AMS uses, discloses and protects that personal information in Canada. 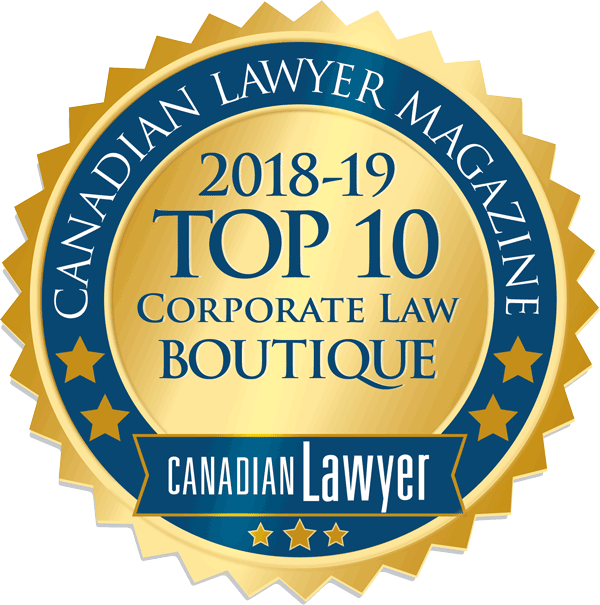 Since January 1, 2004, all Canadian organizations engaged in commercial activities, including law firms, have been required to comply with the Personal Information Protection and Electronic Documents Act. These obligations extend to lawyers and law firms, including AMS. Additionally, lawyers have a professional obligation to keep confidential all information we receive from our clients within a lawyer-client relationship. These obligations are regulated by our professional body, the Law Society of Ontario. We are committed to protecting the personal information we hold in accordance with law. Personal information means information about an identifiable individual, but does not include the name, title or business address or telephone number of an employee of an organization. We collect personal information from clients and others for the purposes of fulfilling our professional legal responsibilities, managing our business and offering and providing legal services for and on behalf of our clients and potential clients. We may also collect personal information from individuals in order to provide them with educational and marketing information including about developments in the law and with respect to the services we offer. We collect personal information fairly and in accordance with the law. Generally, we collect your personal information directly from you. Such collection may be done at the start of our relationship or during the course of our retainer. With respect to our clients and potential clients who are not individuals (i.e. corporations, associations, etc. ), we may collect information about your directors, officers, shareholders, independent contractors and employees. information we may collect with your consent or as permitted or required by law. other parties or participants in a commercial transaction. We may collect personal information from candidates for employment at AMS to assess their applications. For candidates who are not offered or do not accept a position, we normally retain this information for a reasonable period in the event that an appropriate position becomes available. We use personal information to assess whether we can act for you, to provide legal advice and services to you, to issue invoices, to collect accounts and to maintain our database of clients. The purposes for collecting personal information about our clients and prospective clients are primarily to provide legal services and representation, to maintain client relationships, communicate with our clients, and to avoid conflicts of interest. Our use and disclosure of all information with respect to client matters (including personal information) is also subject to our professional obligation of confidentiality and to the requirements of solicitor-client privilege. We may collect information about third-party agents, vendors, suppliers, expert witnesses and foreign associates (“Service Providers”) who provide goods, services and information to AMS. This information would include their name and contact information as well as any information (such as banking information) that we need to pay them for their services, and other relevant information, such as their experience and qualifications. We use this information in order to assess suitability for particular assignments; to contact Service Providers, where necessary, in relation to the goods, services and information they are providing to AMS; and to pay them for their services. We may also use this information to provide Service Providers with material regarding our services or developments in the law. If you do not wish to receive further materials about our services and legal developments, Service Providers may unsubscribe or ask us not to contact them for these purposes. AMS may use such Service Providers to carry out certain functions for us, in which case such Service Providers will be obligated to use any disclosed personal information in accordance with the terms of this privacy statement. Note that some of the Service Providers that process or handle personal information on our behalf may be located outside of Canada. As a result, your personal information may be transferred, stored and/or processed outside Canada in connection with the purposes described in this privacy statement. Contractual or other measures we may use to protect your personal information are subject to the legal requirements of the foreign jurisdictions where your personal information may be transferred, stored or processed, for example, lawful requirements to disclose information to government authorities in those countries. We may also use and disclose certain personal information to parties connected with the proposed or actual financing, insuring, sale or other disposal of all or part of our business or assets, for purposes connected to evaluating and performing the transaction. These purposes may include determining whether to proceed with the transaction or business relationship, or fulfilling any records or other reporting requirements to those parties. Where applicable, we will take steps to require that such parties treat your personal information in accordance with this privacy statement and use and disclose it only for the purposes for which it was collected, including to provide the services or information that AMS would otherwise provide to you and generally to carry on AMS’ business. if we retain another law firm (such as, for example, law firms in other jurisdictions) on your behalf. In most cases, we obtain your consent to collect, use and disclose your personal information. Sometimes we will ask for your consent in writing, but in some cases we may accept your verbal consent. Sometimes your consent may be implied through your conduct with us or the nature of our retainer. Generally, we collect your personal information directly from you at the start of or during the course of your retainer with our firm. Should you withdraw your consent for us to collect, use or disclose your personal information, it may impact our ability to serve you and to maintain our relationship. You may withdraw your consent to our collection, use and disclosure of your personal information at any time, subject to legal and contractual restrictions and upon reasonable notice. Your withdrawal of consent to our collection, use and disclosure of your personal information may impact our ability to represent you and provide you with legal advice. You can ask us not to send you marketing communications by following the opt-out instruction in each communication or you may let us know by contacting us at msawyer@amsbizlaw.com. We strive to maintain personal information in as accurate, complete and up-to-date a form as necessary to fulfill the purposes for which it was collected. It is important that the information that we have on file be accurate and up-to-date. If, during the course of the retainer, any of your information changes, please inform us so that we can make any necessary changes. We may also ask you from time to time whether your personal information is up-to-date. technological safeguards such as security software and firewalls to prevent hacking or unauthorized computer access, internal passwords and security policies. You have a right to challenge the accuracy and completeness of your personal information and to have it amended, as appropriate. You also have a right to request access to your personal information and receive an accounting of how that information has been used and disclosed, subject to certain exceptions prescribed by law. For example, if the requested information would reveal personal information about another individual or is subject to solicitor-client privilege, your request for access may be limited or denied. If your request for access is denied, we will notify you in writing of the reason for the denial. To request access or to amend your personal information, please contact the lawyer with whom you normally correspond or write to our Privacy Contact at the address below. We will respond within thirty (30) days of receipt of your written request. You should be aware that e-mail is not an entirely secure medium, and you should be aware of this when contacting us to send personal or confidential information. If you have any inquiries about our policies and practices relating to our handling of your personal information, please let us know by contacting jallen@amsbizlaw.com.We will respond to all such inquiries within thirty (30) days of receipt of a written inquiry. If you have a concern or complaint, which is found to be justified, we will take appropriate measures to resolve it, including, if necessary, amending this Policy and its procedures.